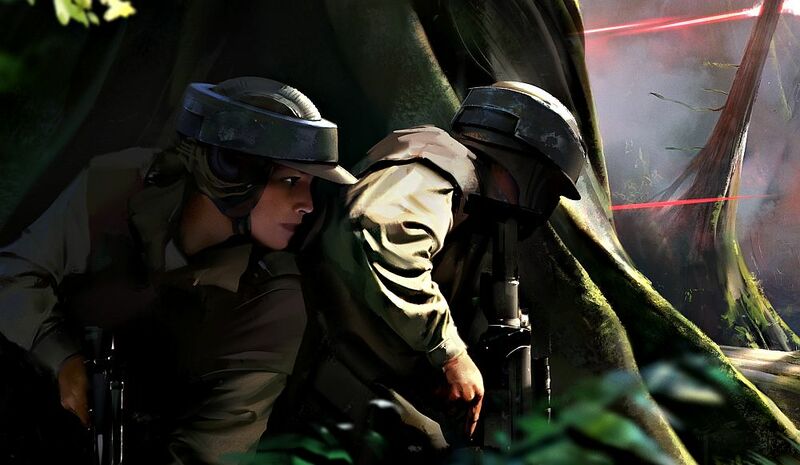 With Star Wars Battlefront set for holiday 2015, it’s high time we were told something about the FPS. Today, a slight bit of information was released on the game, along with a piece of concept art. Finally. While we wait until spring for the first look at the game, we’ll have to be sated with the concept art posted below and hint of what to expect from the game’s maps. 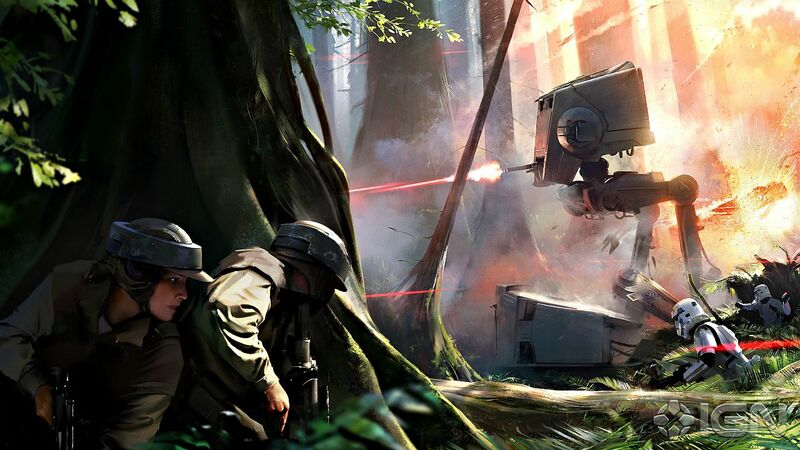 It shows a battle on the moon of Endor between Rebels and a pair of Stormtroopers as an AT-ST shoots things in the background. According to what the game’s design director Niklas Fegraeus told IGN, there will be a “a great variety” of maps and modes. “The scale of our maps and modes offer a great variety,” he said. “We have actually made the decision to specifically tailor certain maps to certain game modes. Not much information, granted, but it’s a start. A hi-res version of the concept art is available through the link.